Philadelphia 76ers center Joel Embiid dribbles against the Milwaukee Bucks during the second quarter at Wells Fargo Center. 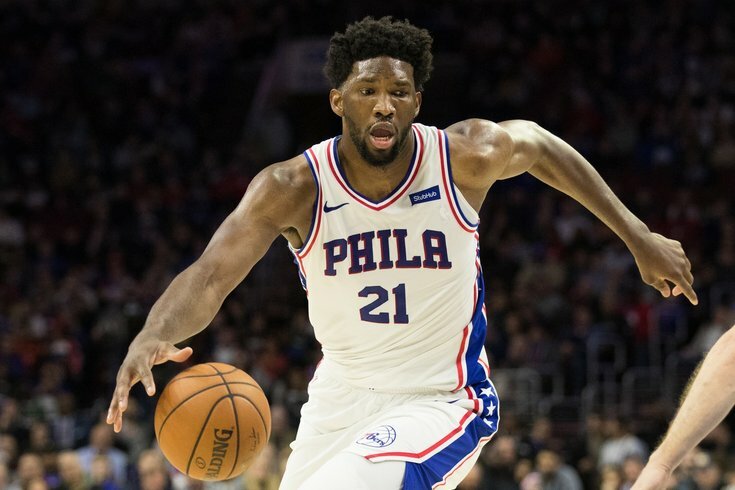 After rumors circulated about who the Philadelphia 76ers Joel Embiid was dating, it's been confirmed that the center is in a relationship with Sports Illustrated swimsuit model Anne De Paula. The couple was spotted in early October in Shanghai, China, when the Sixers were there for preseason games and then appeared together again most recently this week on social media. Sixers co-owner Michael Rubin posted a photo on Instagram of the couple kissing, captioning it with "What a lovely couple!!!!!" and "Congrats on your engagement!!!!!" Although the engagement has not been confirmed (and may have been just a joke), the photo seems to nail down those relationship rumors. In a recent cover story with GQ, Embiid revealed he does have a girlfriend, although he didn't confirm it was de Paula. He did say, however, that dating has not come "without its challenges." "You gotta do your background check," he said. "You don't want to be that guy marrying a girl that someone else in the NBA has been with ... I'm sure some guys end up getting married to women that have been around. And maybe on the court they also get told, 'Hey, I f***ed your wife.'"